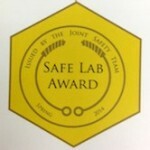 The Reineke, Penn, Hackel, and Zhang labs were awarded the Spring 2014 Safest Lab Award by the Joint Safety Team (JST). Labs in the Department of Chemistry and Department of Chemical Engineering and Materials Science were evaluated and voted on by current JST members. Congratulations everyone on making safety a priority in the group and achieving this distinction! 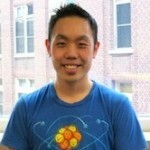 The Joint Safety Team (JST) is a researcher-led organization focused on improving the culture of safety in chemical laboratories at the University of Minnesota. The JST consists of all graduate student or postdoc Laboratory Safety Officers (LSOs) within the Departments of CHEM and CEMS. We also welcome any other interested graduate students or postdocs to participate.